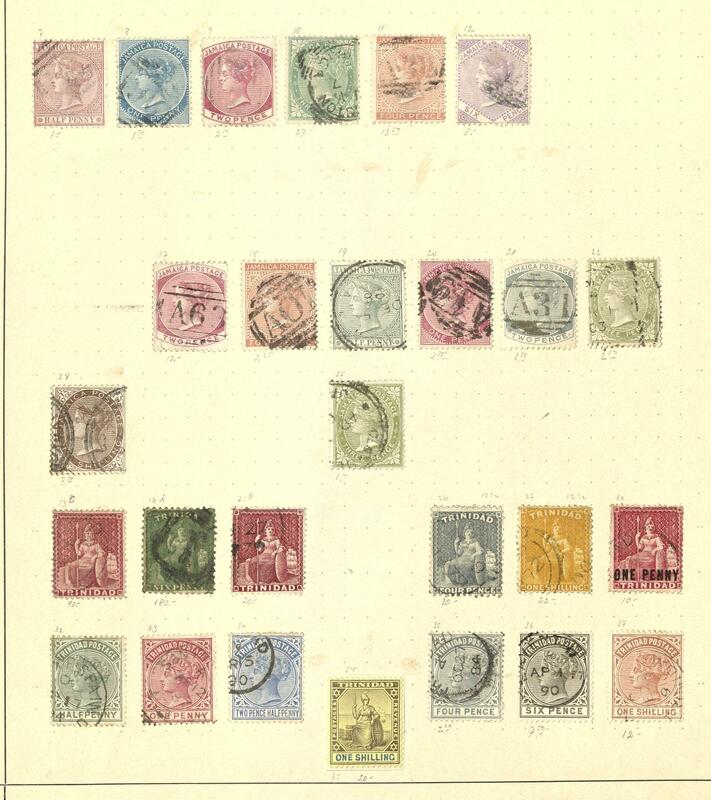 3409 xeF Boxes - extensive inventory in three moving boxes accommodated, as well issues of different countries in albums / stock books and boxes, also numerous corners of the sheet Federal Republic up to the euro time with centered philatelic agency cancel and further areas. Favorable! 3233 racelet Plaiting bracelet - 18 K yellow gold, wide 3, 8 cm, length 20 cm. Alloy 750 / 000. A very nice and imposing jewel through the matt-finished mixture. 3234 racelet Bracelet - 18 K yellow gold, length 19, 5 cm. Alloy 750 / 000. A very nice, Timeless, two-rowed bracelet in matt optics. 3235 racelet Bracelet - 8 K yellow gold, length 19 cm. Alloy 333 / 000. A very nice bracelet. 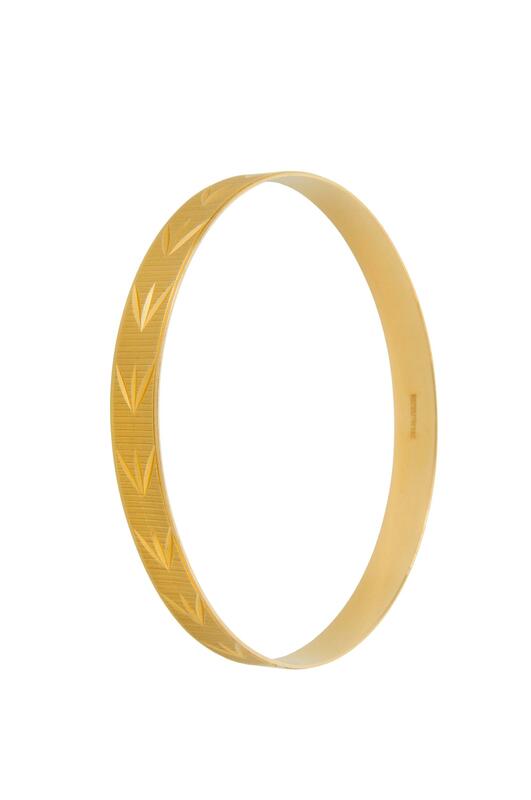 3236 Armreif Bangle - 18 K yellow gold. 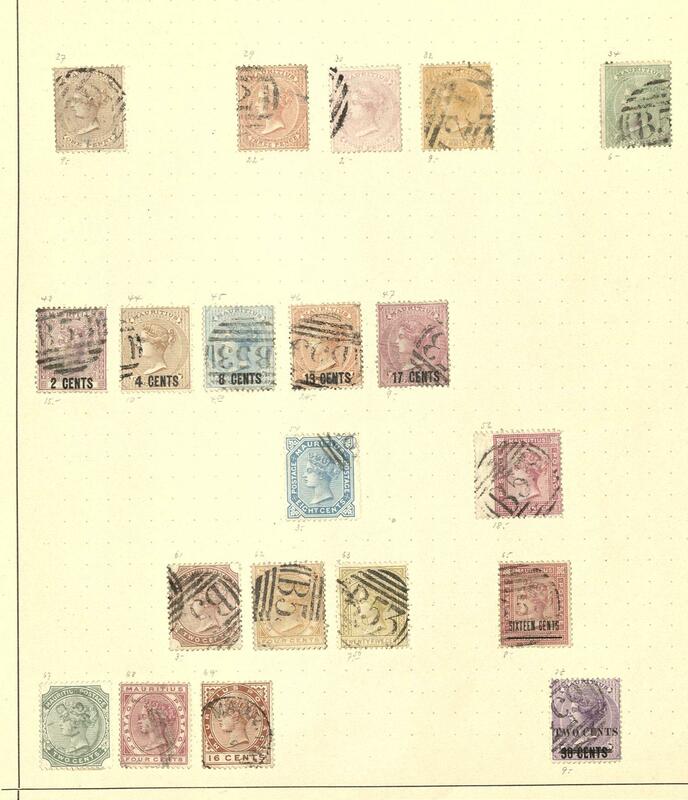 Diameter 7 cm. Alloy 750 / 000. A very nice gold work. 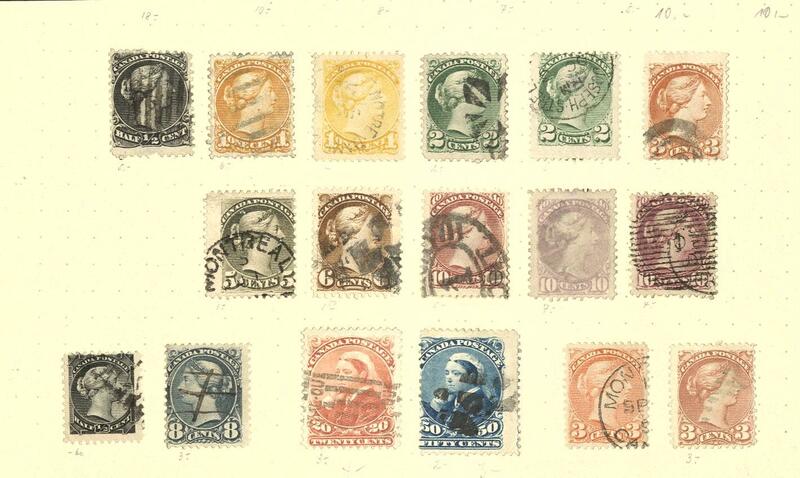 1019 ⊙/∆/ 1x BREMEN - interesting collection, almost exclusively used on printed form, mixed with superb pieces. 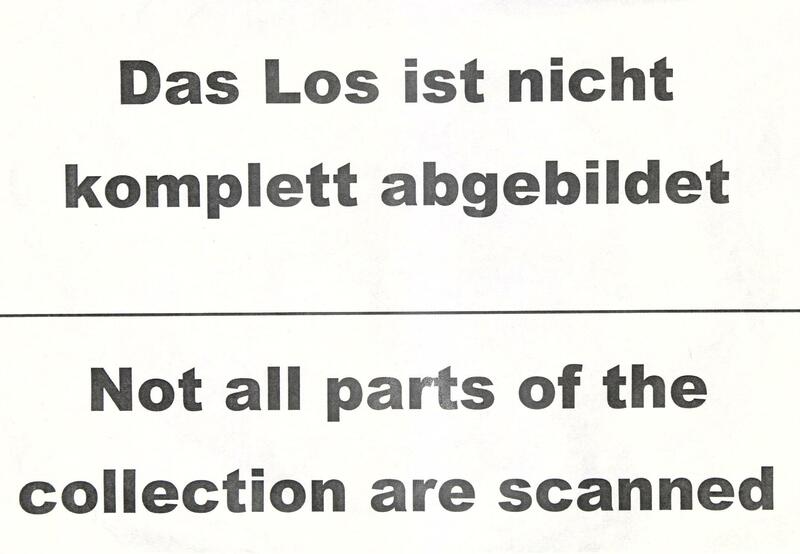 As well better values as for instance Michel no. 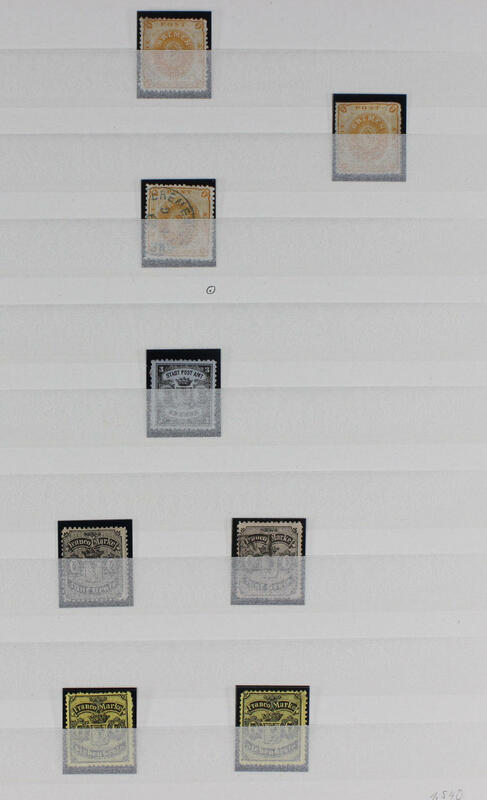 1 x unused (vertical laid paper), 1 y used (horizontal laid paper), expertized Schlesinger, 2 used, 7 A used with photo certificate from association inhabitant / native of Bremen stamps collector from the year 1934, 10 an used expertized Thier, 11 on piece, 12 used, 14 used, as well 15 twice used in different color shades. 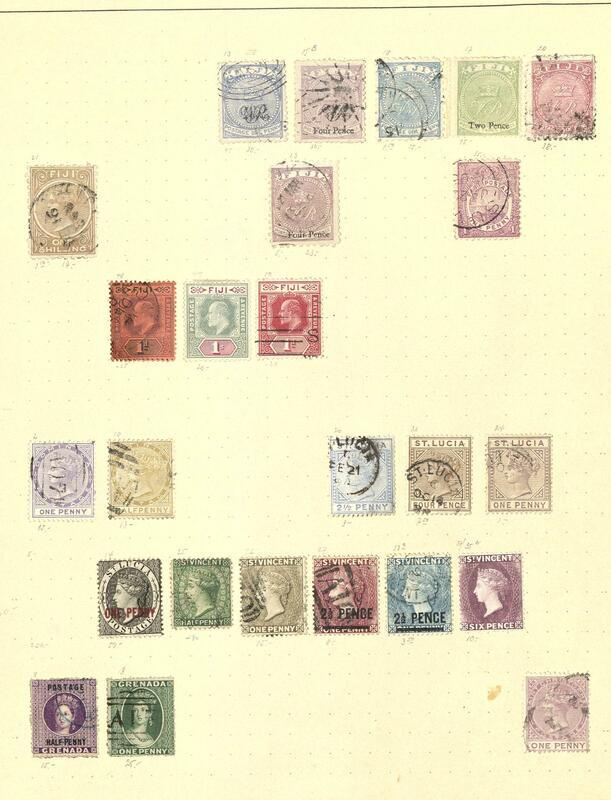 An above average collection this sought-after area! 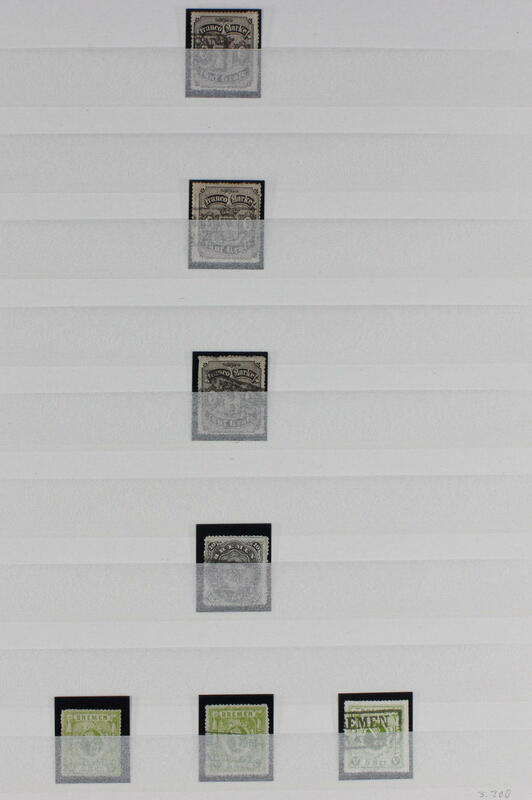 1046 ⊙/ / BREMEN - interesting collection on KABE hingeless printed form, mixed quality, with superb pieces. 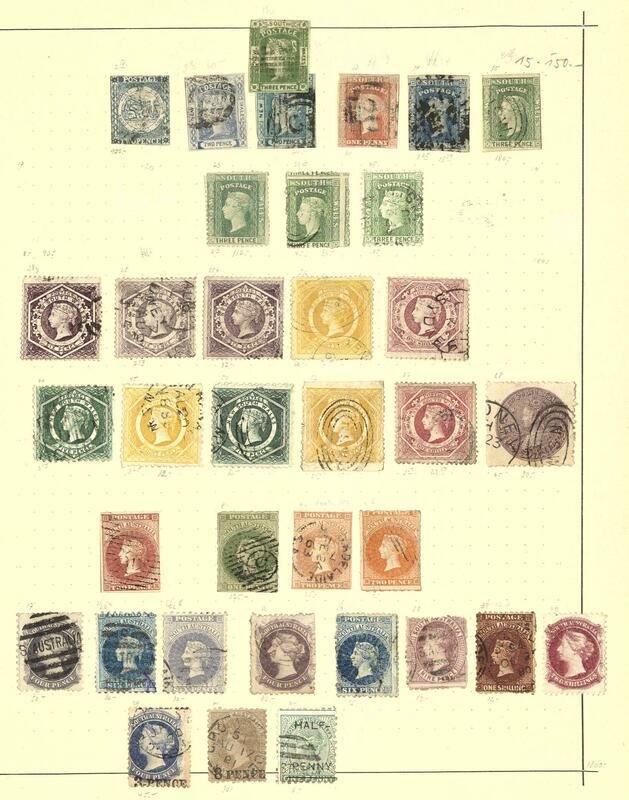 As well better values, including the issues the perforated and roulette stamps. 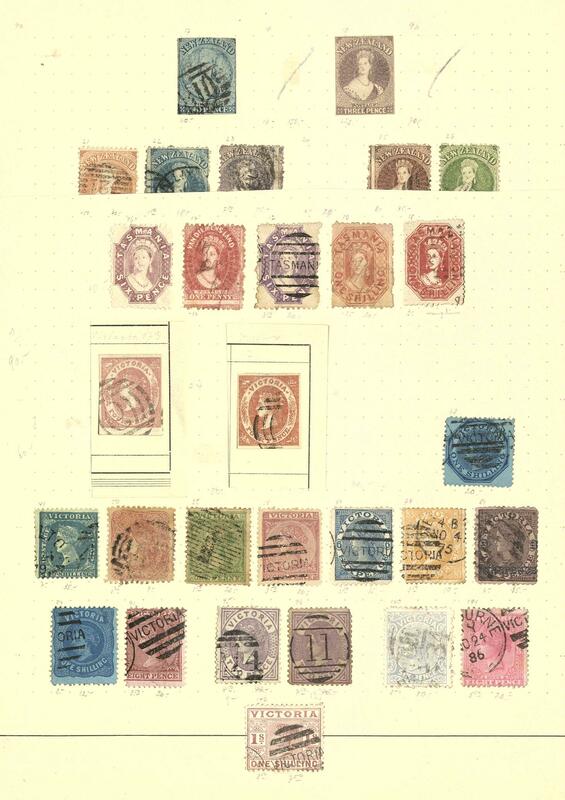 Very high catalog value! 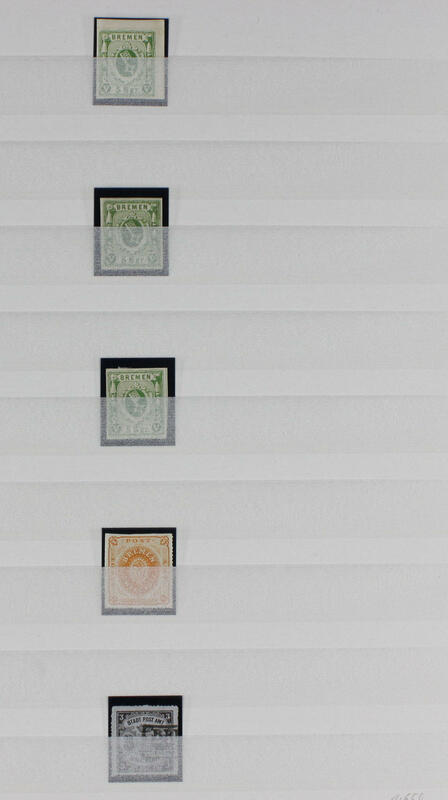 1234 ⊙/ 1 BREMEN - interesting small collection on Borek printed form, mixed quality, as well Michel no. 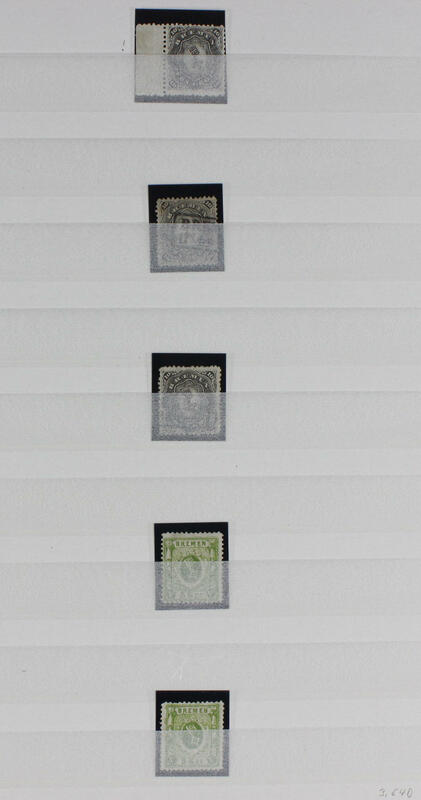 1 used, 2 used, 10 unused expertized Schlesinger, as well 13 unused. 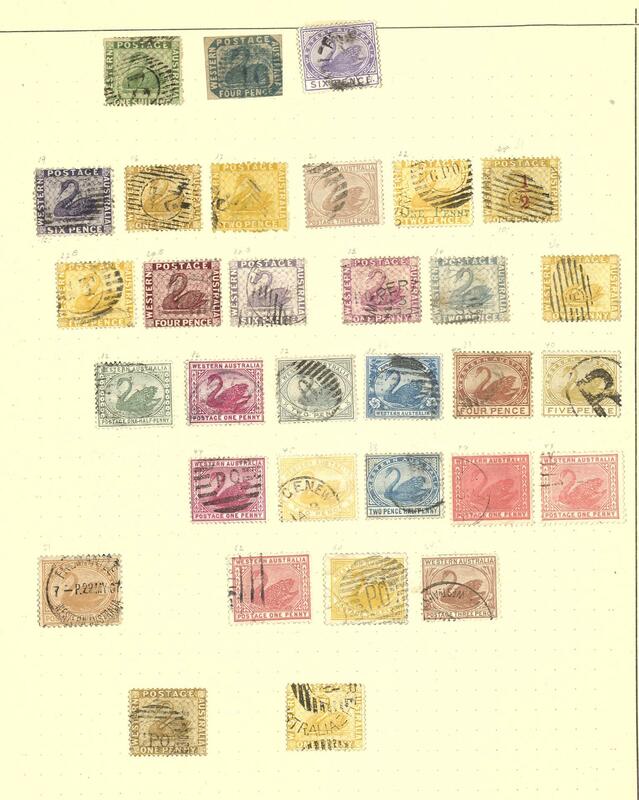 1760 ⊙/ British East Africa and UGANDA - 1903 / 21, collection on Schaubek pages with different issues, mainly postal used, partly fiscal cancelled, as well better issues, Rupien values and so on. Rare offered! 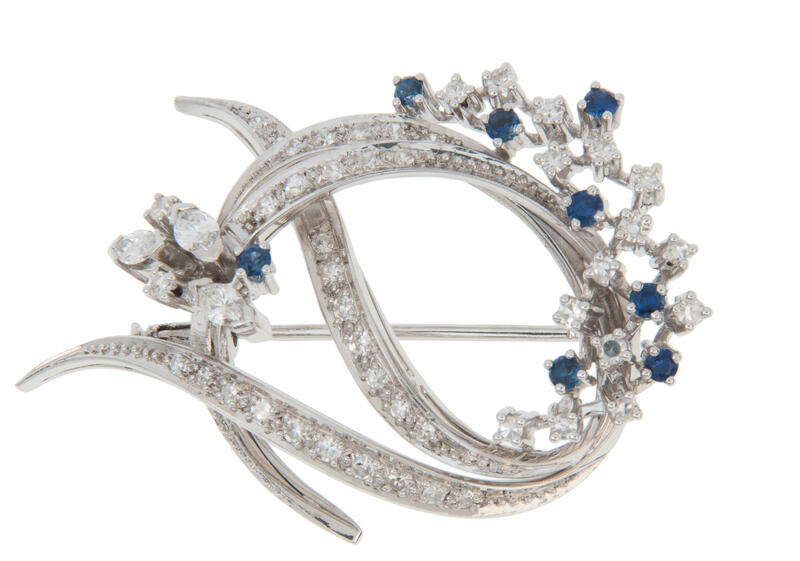 3280 Br⊙Fche Brillant sapphire brooch - 18 K white gold, set with eight sapphires, three Brillant-Navetten W / VSI with together approximate 0, 3 ct. As well approximate 46 diamonds W / Sowed with together approximate 0, 54 ct. A beautiful brooch. 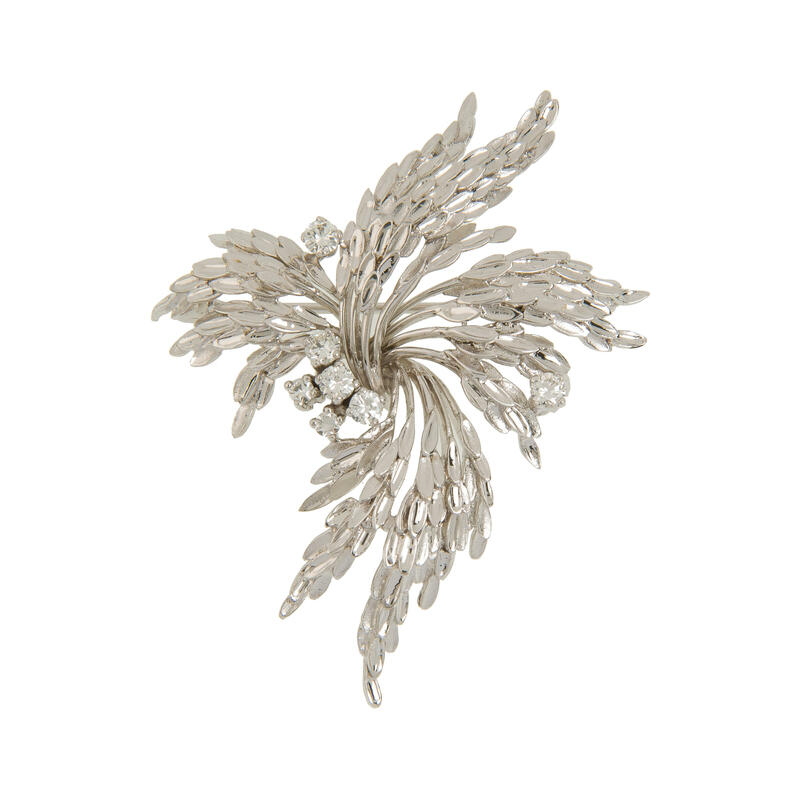 3281 Br⊙Fche Brillant brooch - 18 K white gold, set with seven brilliant-cut diamonds. Alloy 750 / 000. A beautiful work. 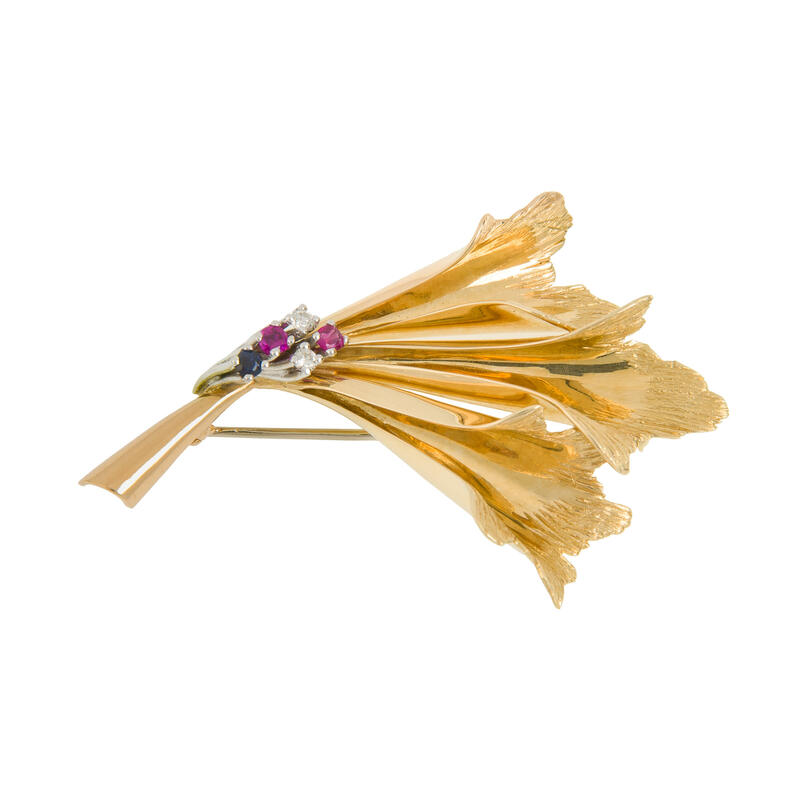 3282 Br⊙Fche Gemstone brooch - 14 K yellow gold, set with two brilliant-cut diamonds, two rubie and a sapphire. Alloy 585 / 000. A very nice brooch. 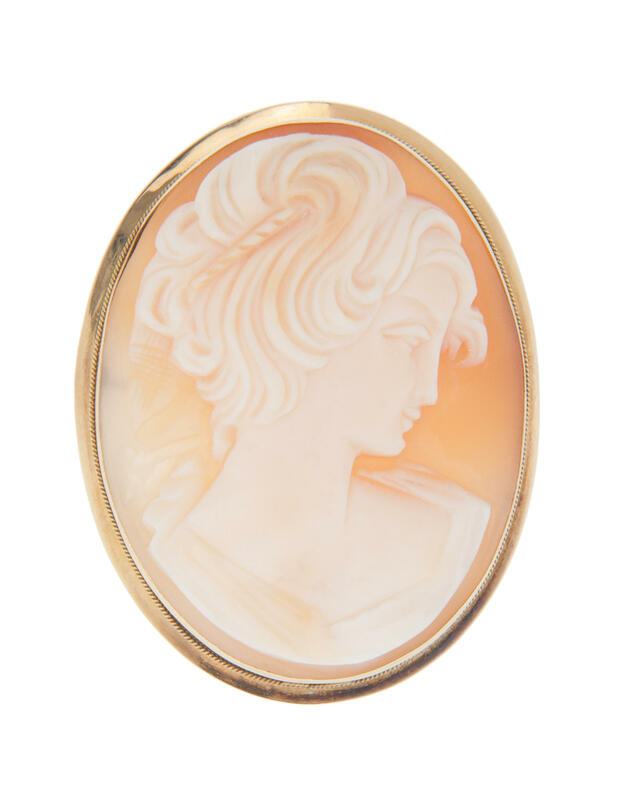 3283 Br⊙Fche Intaglio - 18 K gold carrier, very nice oval intaglio, through additional eyelet also as necklace pendant hand-held. Alloy 750 / 000. 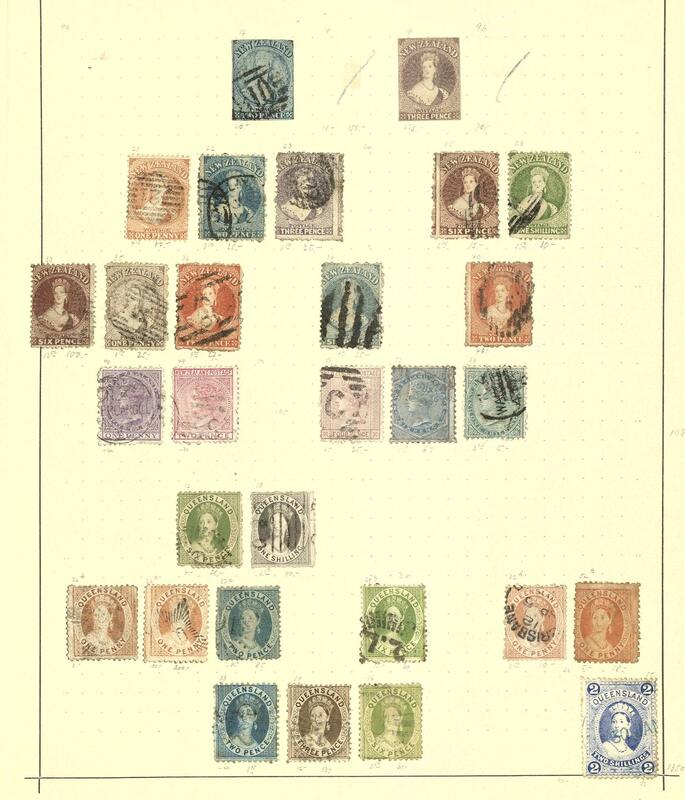 1257 / /⊙ BRUNEI - 1906 / 85, superb collection with sought-after issues in the spring back binder. 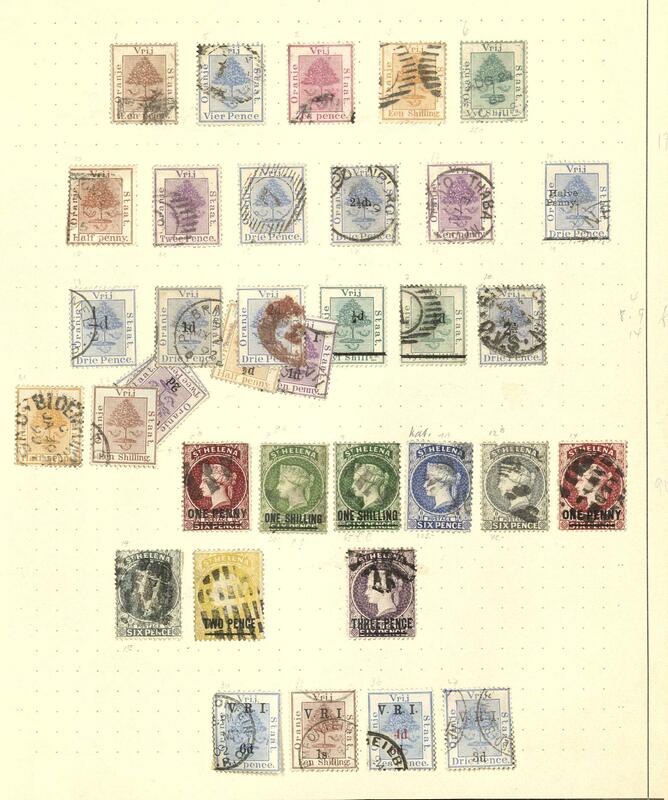 As well better issues including Malaya-Borney exhibition 1922, 5 Dollar postal stamp 1907, as well issues as British Protectorate from 1947 with special- and commemorative sets, postage stamp sets, souvenir sheets and so on. A rare offered area! 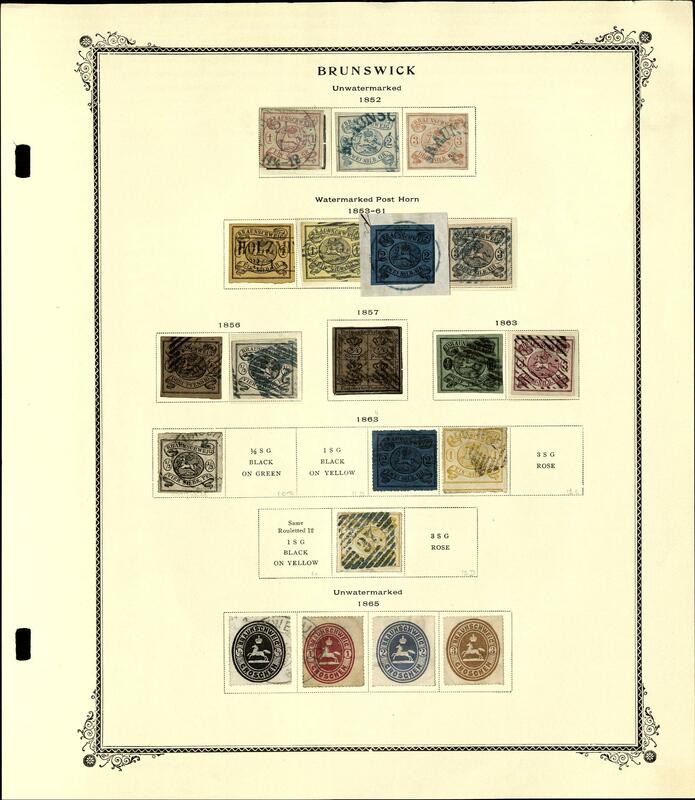 311 ⊙/ / 1 Brunswick - interesting collection on Lighthouse form, mixed quality, with better values, from Michel no. 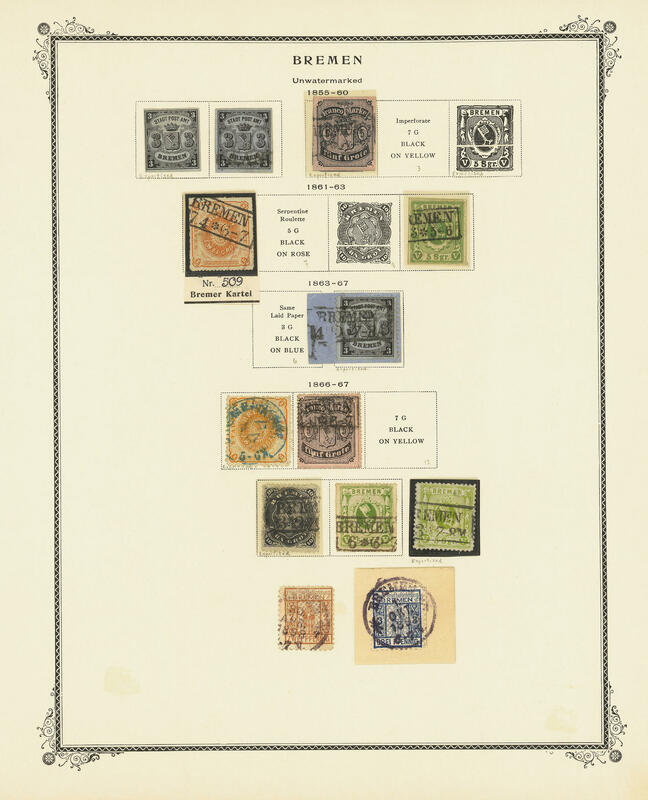 1 formed, enormous catalog value!